Russia has welcomed the successful presidential election in Abkhazia – which was won by Aleksandr Ankvab - and vowed to continue giving all-round support to the independent republic. 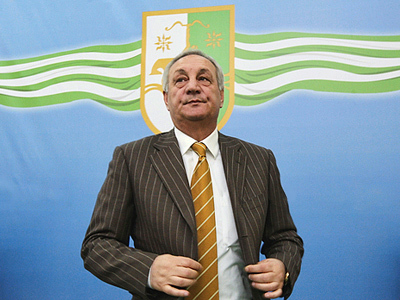 Ankvab mustered 54.9 % of the vote and will become the third Abkhazian leader since the rebel republic first broke away from Georgia in the 1990s. The inauguration ceremony will be held on September 26 or September 27, parliamentary Deputy Speaker Vyacheslav Tsugba told Interfax. The exact date is to be set shortly. Russia’s President Dmitry Medvedev congratulated Ankvab on his victory and said that Sukhum can count on Moscow’s complete and total support. “I am confident that under your leadership, Abkhazia will continue the policy of improving state and civil institutions to promote sustainable socioeconomic development and strengthen your nation’s position in the international arena. In all these areas, Abkhazia can count on the continued full support of the Russian Federation,” his message reads, as cited by the presidential press-service. 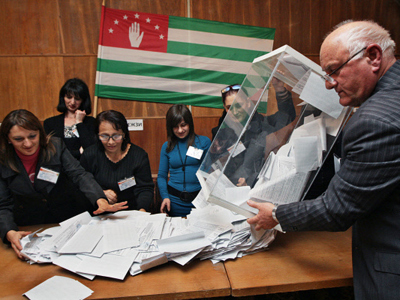 Russia’s Foreign Ministry welcomed Abkhazia’s successful presidential poll, saying that it is “an important step in the development of statehood and civil society” in this friendly neighboring country.The body also noted in its statement that a large number of international observers who monitored voting on Friday rated it highly in terms of its compliance with democratic standards, as no serious violations were reported. Earlier on Friday, Russian observers also said no serious violations had been registered during the Abkhazian snap presidential elections which followed the death of the independent republic's leader Sergey Bagapsh. 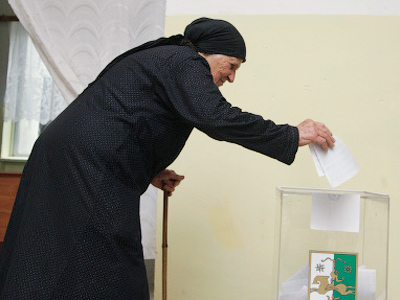 A member of the delegation of Russian observers, Konstantin Kosachev, who is also the head of the State Duma’s Foreign Affairs Committee, told Itar-Tass that no grave complaints had been submitted to the Abkhazian Central Election Commission. The official pointed out that the republic had done a good job preparing for the election, as they had been more than satisfactorily held. 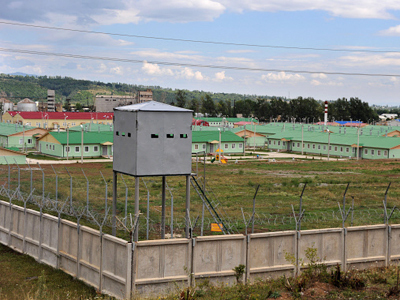 Prior to their trip to the Caucasian state, the Russian delegation thoroughly studied Abkhazian election law and came to the conclusion that it meets the highest international standards. 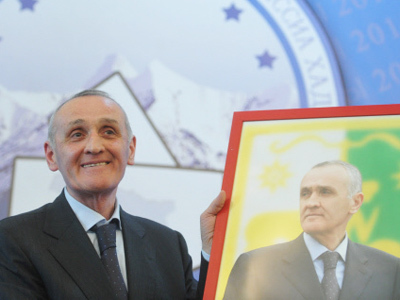 Three candidates were competing for the presidential seat: acting President Aleksandr Ankvab, Prime Minister Sergey Shamba and former vice president Raul Khajimba. The head of the Russian observers' delegation Vladimir Pekhtin noted that all three contenders had been in politics for quite a while. “There is no reason to doubt that the competition is fair and will be won by the candidate who receives the largest number of votes,” he said. 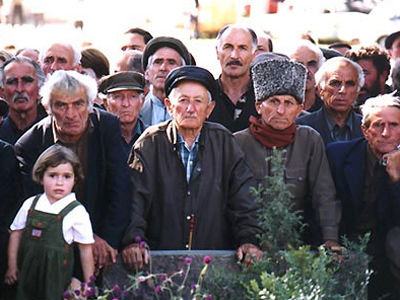 The European Union and NATO refused to recognize the election in Abkhazia, which was held exactly three years after Russia recognized the independence of the Caucasian republic on August 26, 2008 – shortly after the Five Day war launched by Georgia against neighboring South Ossetia. "The European Union reiterates its support for the territorial integrity and sovereignty of Georgia, as recognized by international law," EU High Representative Catherine Ashton said on Saturday, reported RIA Novosti. She stated that the EU does not recognize the constitutional and legal framework within which the elections took place. The same stance was voiced by NATO chief Anders Fogh Rasmussen, who also reiterated the alliance’s support for Georgian sovereignty and rejected the Abkhazian poll. The latter move was met with surprise by the Russian side. Moscow’s envoy to NATO Dmitry Rogozin stressed that the alliance should not interfere in these processes. “NATO states that it does not recognize the Abkhazian elections. But we don’t think that NATO has the right to recognize or not recognize elections…And not only in Abkhazia,” Rogozin told Interfax agency.